Description: Every PC user stores mail addresses, email addresses, web sites, phone numbers, photographs, notes, screen shots, graphics and text items on their Computer. The problem is that they are all in different places and they can all be lost when their associated program is changed or the PC or hard disk fails. Staxofax allows you to keep, use, and backup all this information in one beautifully simple app. Description: Every PC user stores mail addresses, email addresses, web sites, phone numbers, photographs, notes, screen shots, graphics and text items on their Computer. The problem is that they are all in different places and they can all be lost when their associated program is changed or the PC or hard disk fails. Staxofax Portable allows you to keep, use, and backup all this information in one beautifully simple app that runs from your USB flash drive. 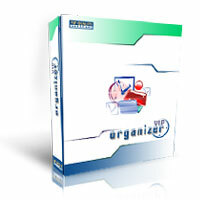 Description: VIP Organizer is a time and task management software which uses To Do List method to help you get through more work spending less time. The program increases your personal and professional productivity. Its an organizer, planner, notepad and reminder combined in one powerful application. Use our software to organize, prioritize and track completion of tasks, manage projects, workflow and events, plan your life for days, months and years ahead. Description: Manage all your appointments, anniversaries, addresses, inventory, budget, notes, memos, recipes and more with ABIX! It includes an integrated backup utility and a password protection to protect your data. It can print envelopes and color calendars and can be use on a network to manage the agenda and customers of a small company. ABIX also includes a mortgage loan calculator and a measurement converter for the metric and imperial systems. 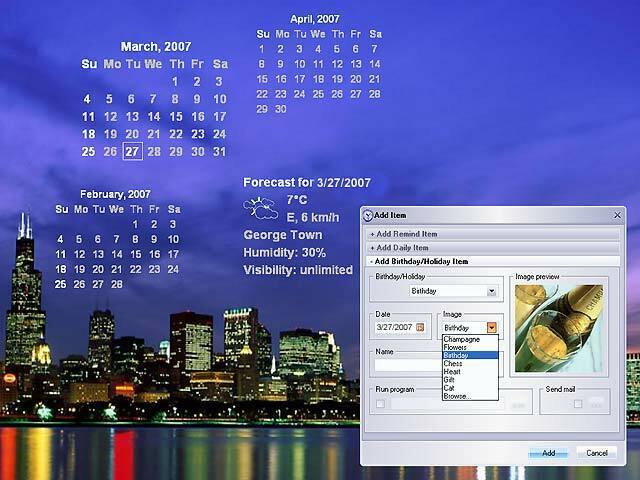 Description: Talking powerful program-calendar for any reminders with calendar and weather forecast on your desktop. Actual Reminder can pronunciation in voice any reminder and can tell to you about the weather outdoors. It can also inform you about the holidays for the current day in different countries. Automatic shutdown pc, Reminding thru E-mail, E-mailing birthday greetings, printable calendar and many other functions. It's 100% free to try! 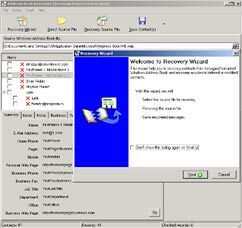 Description: Address Book Recovery is a tool for recovery of the contact information from the Windows Address Book and Outlook Express contacts files. It helps: 1.Restore accidentally deleted contacts. 2.View the changes archive on the contact. 3.Restore the Windows Address Book or Outlook Expres contacts if has been defected by a virus or the database has become unreadable because of technical faults. 4. Export contacts to .vcf files.